Recognizing the symptoms of common mental illnesses and substance use disorders. Initiating timely referral to mental health and substance abuse resources available in the community. 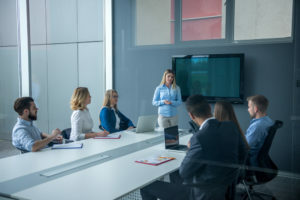 Training programs under this project would be offered to emergency services personnel, police officers, teachers/school administrators, primary care professionals, students, and others with the goal of improving Americans’ mental health, reducing stigma around mental illness, and helping people who may be at risk of suicide or self-harm and referring them to appropriate treatment. Studies have shown that Mental Health First Aid successfully increases help provided to others and guidance to professional help, and improves concordance with health professionals about treatment. The Mental Health First Aid Act (S. 711/H.R. 1877) was introduced in the Senate by Senators Kelly Ayotte (R-NH) and Richard Blumenthal (D-CT) and in the House by Congresswomen Lynn Jenkins (R-KS) and Doris Matsui (D-CA). In the 2013-2014 fiscal year, 21 states introduced or considered legislation or appropriations for Mental Health First Aid. Learn what you can do to take action in your state, and what strategies get the attention of policymakers and other community stakeholders. Determine what has already happened in your state with the 2013-2014 State Policy Tracking Chart. The FY 2014 budget provided $15 million for a new grant program to provide Mental Health First Aid training as a part of President Obama’s Now is the Time initiative. 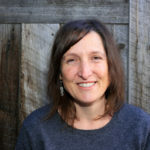 This program funded training for teachers and other individuals who work with students to help schools and communities understand, recognize and respond to signs of mental illness or substance use in children. In 2015, the President renewed his commitment to Mental Health First Aid and Congress enacted another $15 million for FY 2015 . In addition to the enactment of the $15 million request in the President’s 2015 budget, the proposal in his 2016 budget is to continue the $15 million appropriation while adding a new $4 million line item for Veterans Mental Health First Aid. In his report, Now Is the Time: The President’s Plan to Protect our Children and our Communities by Reducing Gun Violence, President Obama calls for Mental Health First Aid training to help teachers and school staff recognize the signs of mental health disorders in young people and find them appropriate care. Read the release about the fiscal year 2014 Substance Abuse and Mental Health Services Administration (SAMHSA) budget including $15 million in new funding for a nationwide demonstration program designed to provide Mental Health First Aid training in school districts across the US. Learn about the Project AWARE Mental Health First Aid grants for state and local education agencies. There is a Mental Health Crisis in America. You Can Be Part of the Solution. Ask your legislators to co-sponsor the Mental Health First Aid Act. 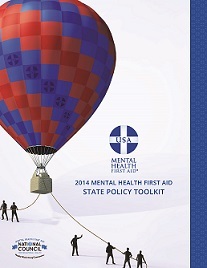 Seek support for Mental Health First Aid in your state (see our State Policy Toolkit for ideas).